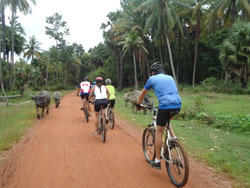 "Best Price, Good Value, Direct Deal, Cambodia Trip: Cycling, Classic Tours, Dirt Bike Tours. 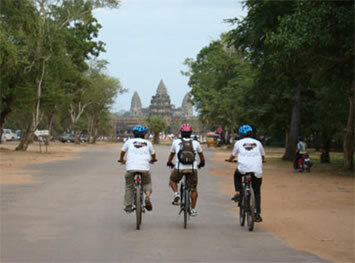 Cambodia Cycling aims to take tourists to see real Cambodia and Indochina region including Thailand, Laos and Vietnam. 70 to 80% of our cycling routes are off road and back roads to enjoy the countryside, the villages, the people to experience their cultures and their wonderful smile children. 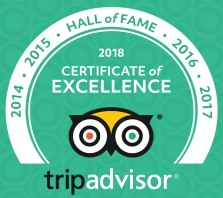 Our phiosophy is: to provide once in a lifetime adventure trip with real life experience and see real country. Cambodia Cycling is a professional Cycling Tour Operator providing affordable cycling trip and other adventure tours in Cambodia since 1999. Cambodia Biking Trip is the best way to explore the country. 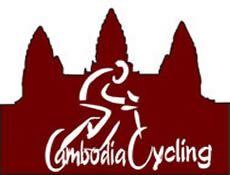 Cambodia Cycling provides professional cycling guides who have been passionate about cycling for many years. >> Learn More about what previous customers say about us. Visit our Guest Book. More than cycling, we are really excited to show tourists our country, meeting with the people and interacting with the community. 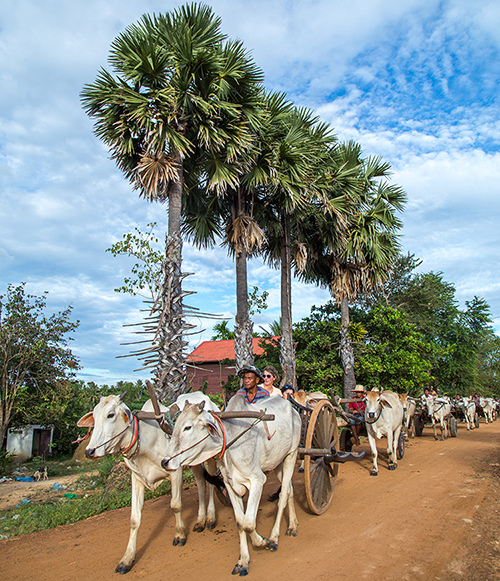 You will enjoy local food to experience rural Cambodia at its most authentic. Most of our cycling guides are members of Cambodia Cycling Federation. They are proud and eager to promote cycling across Cambodia and the region. Our Cycling Tours combine historical sites such as Angkor, enjoyable scenery, people and their culture as your cycle along. Booking cycling tours with us, ensure BEST LOCAL PRICE, enjoyable off the beaten track, real dirt roads and back roads.>> Learn More about our some of our cycling routes on You Tube. Below are our Cycling Tours in Cambodia, and the combined cycling trips with Laos, Thailand and Vietnam. As per our Booking Conditions , we can run the trips for you with minimum 2 people. This Cambodia, Thailand and Laos cycling tour, start in Angkor to cycle to see REAL Cambodia, Thailand and Laos how differences the 3 countries to learn their cultures. Visit Angkor on back road, Phnom Penh city tour, follow Mekong trail to cross Laos border. Cycle to visit water fall, 4 thousand islands, Wat Phu (Southern Laos). New biking tour to see REAL Cambodia around Tonle Sap lake. Local experience Bamboo train, the bustling Phnom Penh and historical Angkor complex. 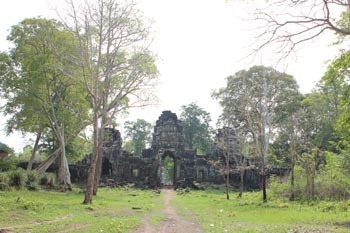 Discover Angkor complex on the bicycle and trek to the river of thousand lingas. Explore on shady road to visit Angkor complex on the back road and Tonle Sap lake.